If you’ve been researching screen rooms, you’ve probably seen that much of what’s on the market only comes in a cookie-cutter, one-size-fits-all style. At SRA Home Products, we understand that you want your home to stand apart from all of the other houses in your Lower Merion Township, Pennsylvania, neighborhood. That’s why we’ve chosen to carry screen rooms that can be fully customized to fit your personal tastes. Model — Our screen rooms are available in various models, including studio (which features a gentle roof pitch) and low cathedral (which features an elegant vaulted ceiling). 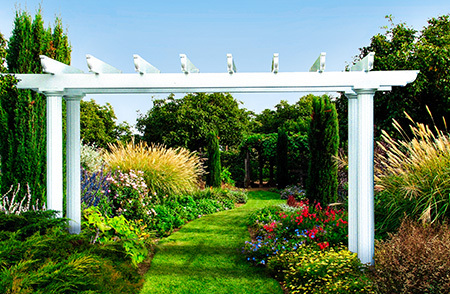 Color — You can select between two colors — white and sandstone — for the frame of your new screen room. Screen style — We offer screens in multiple styles, including fiberglass memory, solar insect, no-see-ums 20×20 fiberglass, and pet. Sash color — Our screen rooms come equipped with high-quality removeable vinyl sashes that block up to 99 percent of all ultraviolet rays. They’re available in various colors, including clear, smoke grey, dark grey, and bronze. 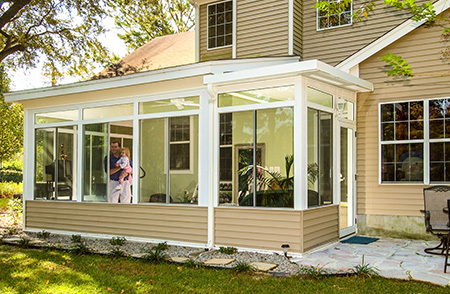 Plus, if you ever decide that you’d prefer to have a more fully enclosed addition instead, we can easily convert our screen rooms into sunrooms by installing HPG 2000 glass. If and when the time is right, just let us know, and we’ll be more than happy to handle the installation for you. 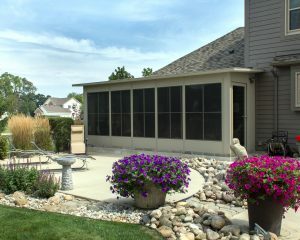 To learn more about how our screen rooms can be customized to match your home, please contact SRA Home Products today. We proudly serve homeowners throughout the Lower Merion Township, PA, area, and we look forward to helping you design your new screen room.